Ever find your hands full at the supermarket? Basket in one hand. Items in another. Sometimes, even kids to look after. This can make it a little tricky to look at a shopping list on your phone. However, you can leave your phone firmly in your pocket if you’ve got a smartwatch. By having your grocery list on your wrist instead of on your phone you can be even quicker because you can do more things with your hands. Your smartwatch is incredible, but it needn’t be different. This saves you time when building new shopping lists, and also means your shop will be quicker as you won’t be zig-zagging around the store. We’re all in a hurry. But did you know that using direct voice input on your smartwatch can save you even more time? Use your voice to add items or create entire lists using your smartwatch’s microphone. Just say “and” between each item you want to add and, voila! Everything’s there. You can also add quantity and weight when you speak, just like in the phone app. Your items will also be automatically sorted into aisle categories. Sure: Listonic works well on your smartwatch, but how does it look? It looks great, actually! But our smartwatch shopping list app doesn’t just look wonderful, it’s also designed to be easy, intuitive, and quick to use, using the most up-to-date design guidelines. It’s designed to work fantastically with both square and circle watches, too. It’s fast. It’s easy. It’s gorgeous. 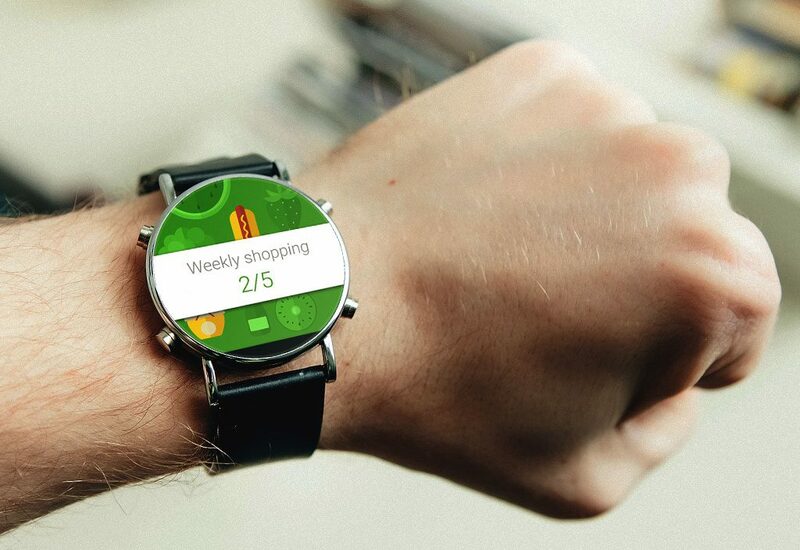 Your smartwatch is the perfect partner for your shopping list. If your smartwatch uses Android Wear you’re in for a treat! Listonic is developed as a standalone app for Wear OS. You don’t even need your phone with you to use the app. You can even leave it at home, because you don’t even need an Android phone to use the Android Wear App. That’s right: you can use Listonic on your Wear OS smartwatch even if you have an iPhone!